After downloading your custom pod(s), add the pod to your meeting room(s) and templates through one of our three easy installation methods. Click the video below to discover how quick and easy it is to add a pod to a meeting room or read the documentation. To download any custom pod, visit www.refineddata.com and click the Adobe Connect & Custom Pods link. Or visit www.refineddata.com/downloads to directly select a custom pod. Method 1: Good Add a custom pod directly from your computer. 1. Select and download your custom pod from the website. The pod will download a .zip file to your computer. Double click on the .zip file to access the .swf file within. 2. Open a new share pod in a meeting room by selecting Pods from the Adobe Connect meeting menu bar and selecting Share and Add New Share. 3. Inside the new share pod, select Share Document from the drop down menu. 4. Select Browse My Computer and choose the .swf file from your computer’s downloads. If this is the first time you have installed the pod from Refined Data, you will need to register with us. Or, if the pod has already been installed by someone else at the same organization, you may receive a message that the trial period is over. 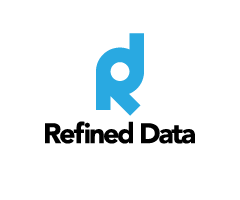 You can contact support@refineddata.com to request an extended or reactivated trial period. Then return to the meeting room, close the pod and open it again before use. RT Tip - As a host already running an Adobe Connect meeting room, you can also drag and drop the .swf file from your computer to an empty Share Pod. Using this method ensures the pod remains in the meeting room until deleted. You will need to repeat this process for each separate meeting room. 2. In Adobe Connect under the Content menu, under Shared Content, create a new folder titled Refined Data Tools. RT Tip - Content in the Shared Content folder allows all users with viewing or managing rights to access the pods in the Shared Content folder. Users with authoring privileges or users who are meeting hosts can upload files to this folder. 3. Once the folder has been created, select the New Content button. 4. Click Choose File and select the .swf file from your computer. Add the Pod Title and optional Custom URL and Summary, and click Save. 5. Open a new share pod in a meeting room by selecting Pods, Share, and Add New Share from the Adobe Connect meeting menu bar. 6. Inside the new share pod, select Share Document from the drop down menu. 7. Navigate to the Shared Content folder, and the Refined Training Tools folder where your custom pod is located. Select your pod and open it in the meeting room. The great benefit to this solution is that anyone with access to the platform can have access to the pod. This method eliminates the need to upload the pod from your computer for each new room you create. 1.Select and download your custom pod from the website. The pod will download a .zip file to your computer. Double click on the .zip file to access the .swf file within. 2. Add the custom pod to an existing template by opening a template meeting room. You can locate the Adobe Connect default template meeting rooms from the Meetings option on the menu bar. Select Shared Meetings, and click on the Shared Templates folder. RT Tip - To provide Host access to the template for editing, click Edit Participants and add the Administration Group to the Participants list as Hosts. Add the Meeting Hosts group as Participants to avoid any issues with a recorded session. 3. Open a template meeting room and create a new share pod. 4. In the new share pod, select, Share Document. 5. Select the custom pod from the Refined Data Tools folder inside the Shared Content folder. Using this method, you can add multiple custom pods to a single template and all of them will be present when you create your next meeting room.